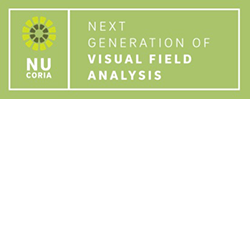 nuCoria was established in 2014 to research, develop, and license novel visual Field testing technology developed by Australian National University (ANU), and is focused on commercializing our objective diagnostic aid and patient management technology for: Ophthalmological diseases including glaucoma, diabetic retinopathy and macular degeneration. Neurological diseases including multiple sclerosis, epilepsy and concussion. Assessing brain function in patients, including Alzheimer’s and Parkinson’s. nuCoria has developed a novel Multifocal Objective Pupil Perimetry (mfPOP) test to deliver a Binocular Objective Functional Test to aid in the detection and management of mild Traumatic Brain Injury (mTBI) and Post Traumatic Stress Disorder (PTSD) with improved diagnosis power, decreased testing time, and repeatable.